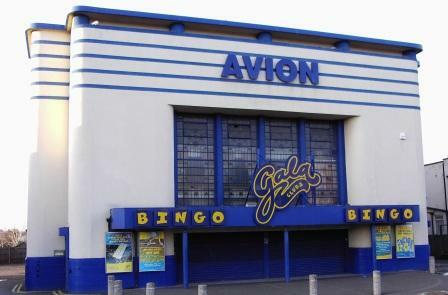 Photograph of the Avion cinema in 2009 Untill recently, well known as a Gala Bingo hall which closed in September 2009. 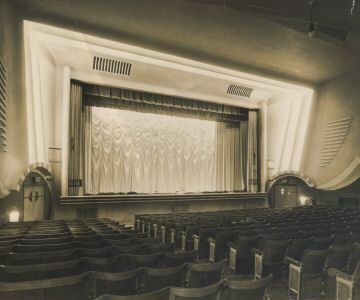 The "Avion" super Cinema De-Lux in Aldridge, was opened with a personal appearance by George Formby, on 26th September 1938, and was designed by Architect Roland Satchwell. 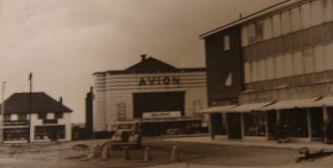 Photograph of the Avion cinema in 1969 It seated 1000 people, with tickets priced at 6d. to 1s. 6d, with shows running Continuous from 2 p.m. daily. It also presented occasional Variety performances, on the stage measuring 30ft. x 15ft with just two dressing-rooms. It's original telephone number was Aldridge 52312. It closed in 1967. Some of the original art-deco features are still visible, such as the large stained glass windows above the canopy front entrance. It also shares something in common with Aldridge police station, when the Council added both to the historic buildings list in October 2006. Walsall Council heritage experts included them on the special local list, giving permanent protection to interesting, local historic and architecturally valued buildings. Council officers are keen to add the buildings to the list which fall outside of designated conservation areas, giving them a degree of protection when planning applications are made for work on the properties. Finished in cream glazed faience enlivened with green bands and a black base, there is a huge window lighting the circle foyer with entrance doors underneath the central canopy. The auditorium is a dull brick box behind the facade. Neon lighting was much in evidence at night. There was also a small stage and several dressing rooms. Seating was divided between the stalls and single balcony. 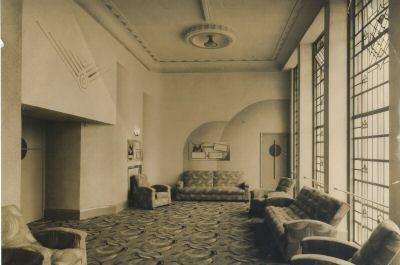 The auditorium was decorated in shades of rose-dubarry and silver with the Art Deco style plasterwork picked out in green. Several different colors of seating was used to create diametrical patterns when viewed from the stage. The cinema opened on 26 September 1938 with a personal appearance by George Formby followed by his latest film "I See Ice". It then settled into an uneventful routine mainly showing films but with around six full weeks of variety shows on the stage. No major changes were made to the design of the building and it eventually closed on December 30, 1967. It became a bingo hall almost immediately after and continued for over 40 years. 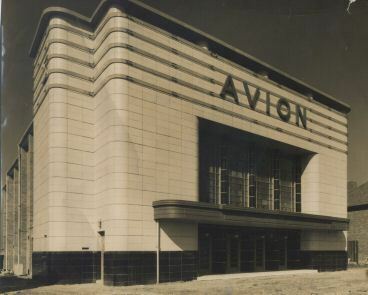 In 2001, the faience tiles were in poor condition and were removed with the walls underneath being rendered and painted - this has considerably smartened up the facade and indicates that the Avion was scheduled to be around for some years to come. Unfortunately, due to increased Government taxes on bingo, the Gala Bingo Club was closed on 1st August 2009, and the building was put up for sale. written by by Ian Grundy, Ray Martinez.